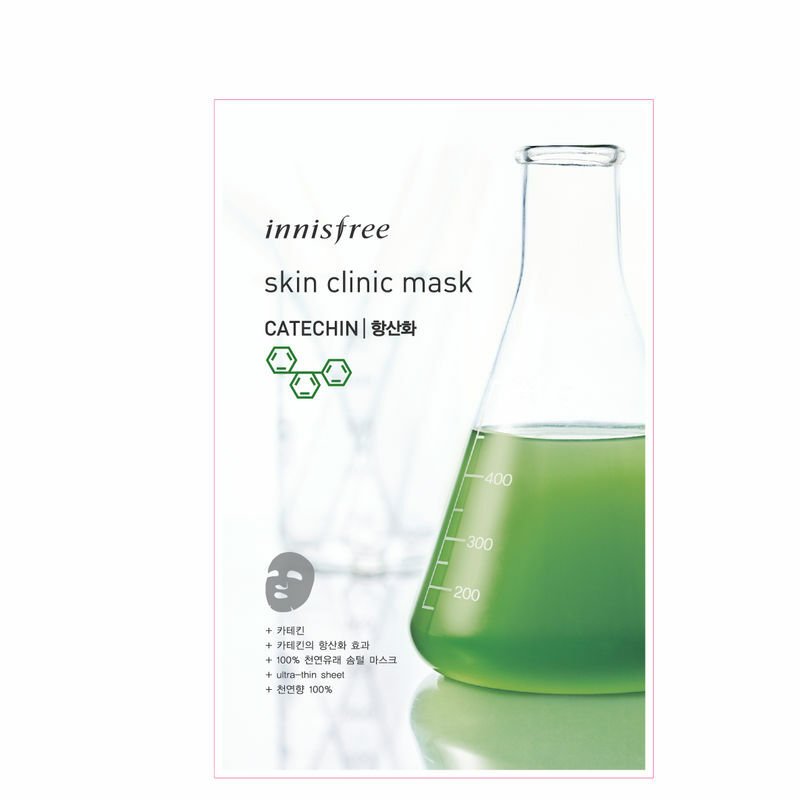 Clear and firm skin is just a step away with the Innisfree's Skin Clinic Mask - Catching. This fine delicate cotton mask with dual functional benefits contains anti-oxidants of catching to simultaneously resolve your skin tone and wrinkle concerns. 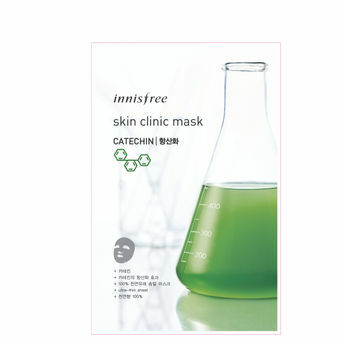 Contains catechin that leave the skin cleaner and firmer and Niacinamide and adenosine that enhance complex skin troubles, including dull skin and wrinkles.